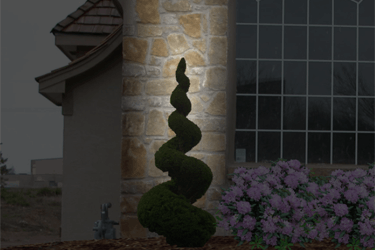 Create Realistic Lighting Designs with Just a Few Clicks. Create Stunning Lighting Designs from a Picture You Took During the Day! 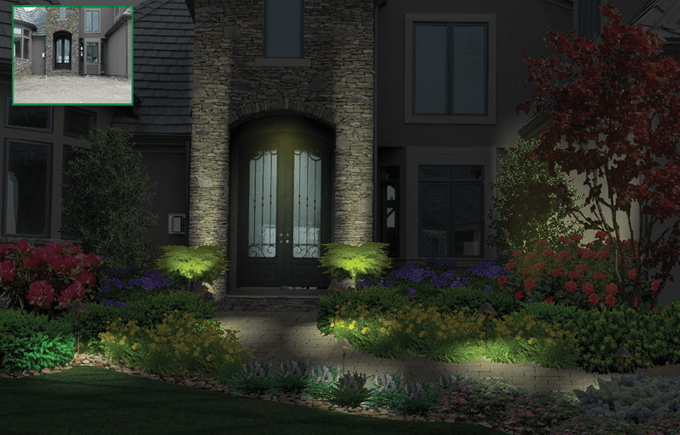 To help you sell those lucrative lighting deals, PRO Landscape includes night lighting that allows you to place landscape light fixtures and automatically illuminate the design. Take a photograph of the house or building during the day, drag and drop from hundreds of light fixtures, show up lighting or down lighting and press a button to show what it looks like at night. The realism is impressive. 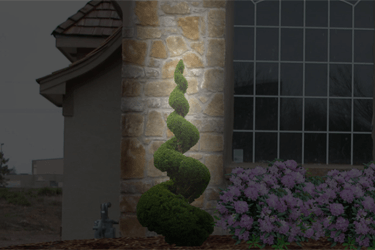 Lights can be placed in front of plants for dramatic effects and shadows. Move light fixtures behind plants for an impressive wall wash effect. 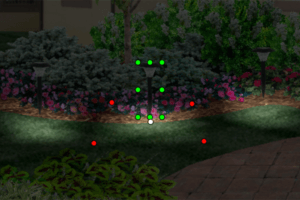 Drag out a light fixture and you can immediately show the fixture at night. Then, adjust both the light cast and the light source for the perfect lighting effect. Easily add up or down lighting to create dramatic lighting effects. Use them to highlight trees or textured wall surfaces. 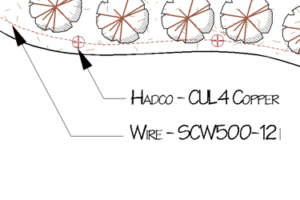 Add your light fixtures and wire to CAD plans for a detailed, accurate quantity take-off. 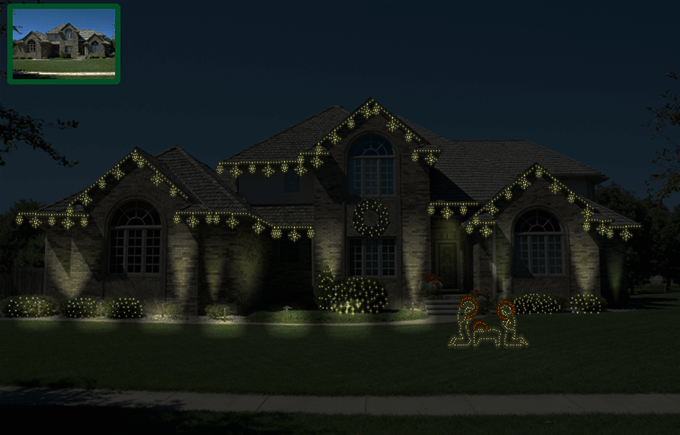 PRO Landscape includes holiday lighting to help you sell your holiday lighting designs. 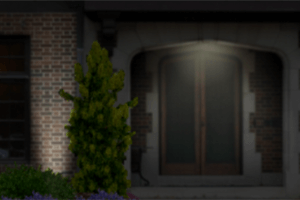 Choose from light strings, icicle lights or custom light strings. You can also enhance your lighting plans with over 100 displays (e.g., snowmen, bells, Santaʼs) plus garland, wreaths and light nets. 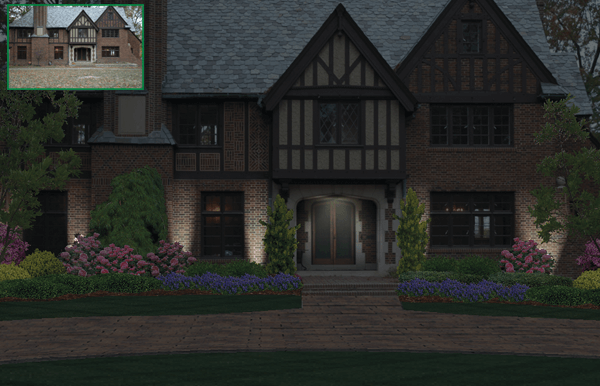 Take a picture of the house or building during the day, draw the desired lighting effects and press a button to show what it looks like at night. You can even set it to snow for that spectacular seasonal look. Easily draw light strings or icicle lights to your design. Adjust the bulb spacing and glow. You can also change the light color to fit your lighting design. Select From Over 100 Displays Including Wreaths, Garland, Light Nets, etc. 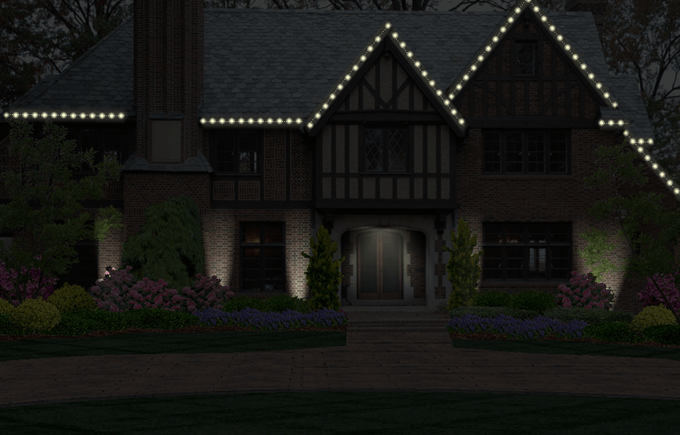 Enhance your lighting designs with light displays. Simply drag out a display and turn on the lights. Light displays are a great way to enhance your holiday lighting designs. Create bids directly from your lighting designs.